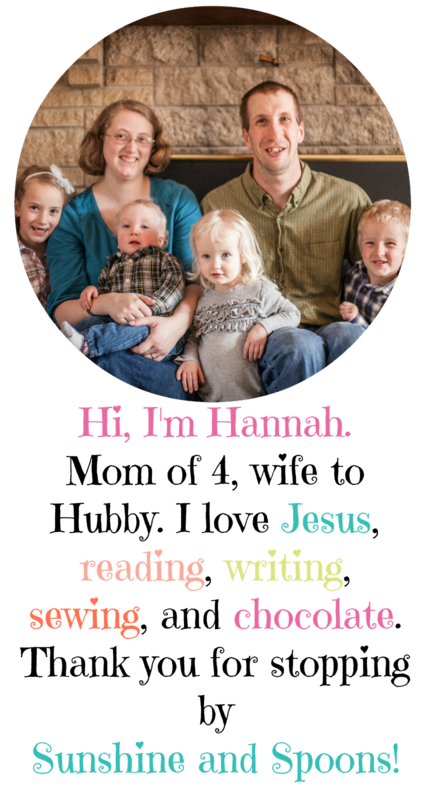 Four kids later, and the first Christmas was just as special for my fourth baby as it was for the first. There's just something magical about that first Christmas. 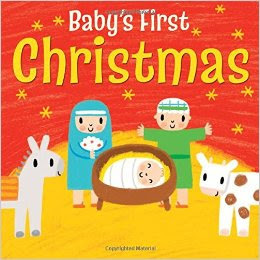 To celebrate your little one's first Christmas (or Hanukkah! 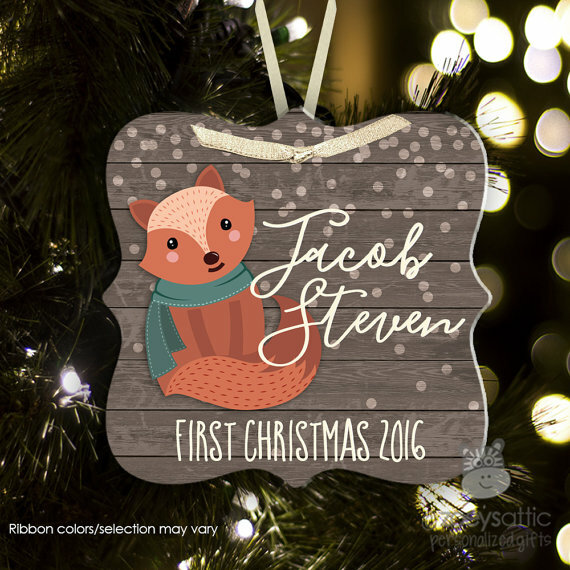 ), I put together a gift guide with a collection of unique keepsakes. Enjoy! 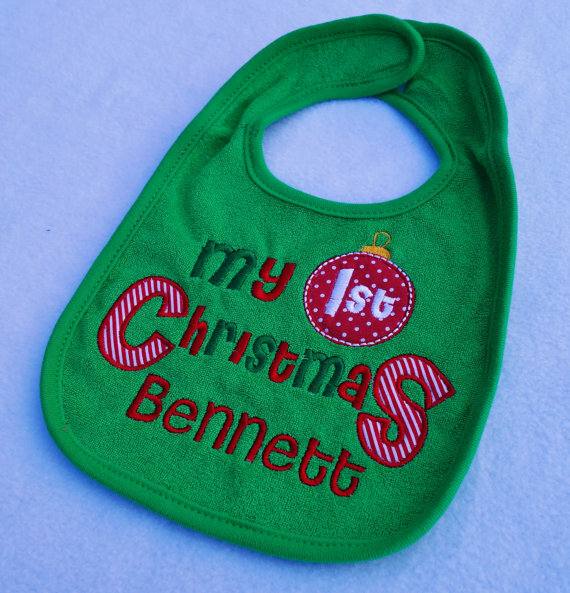 If your baby is like mine all were, those adorable Christmas outfits are usually covered up with bibs. 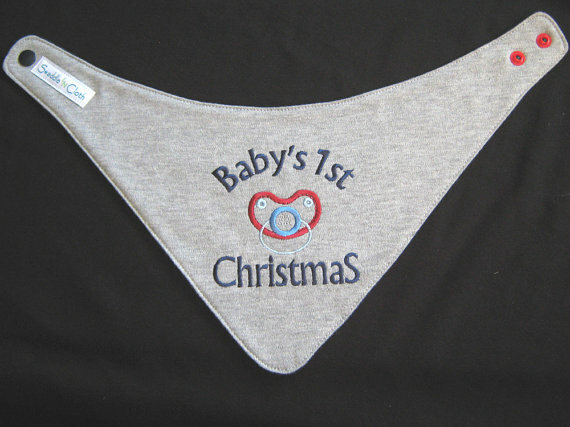 If that's the case, why not make the bib really cute too? 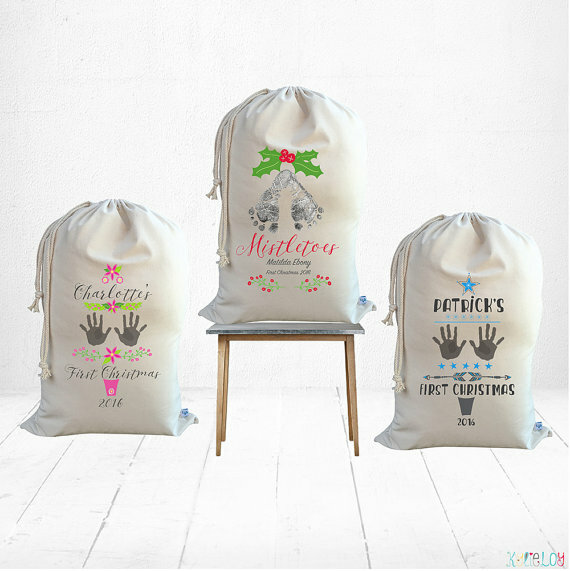 These personalized Santa sacks have your little one's own handprints or footprints on them. 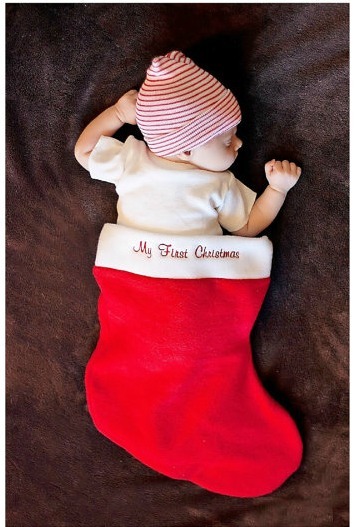 What a cute way to wrap gifts for a first Christmas! We can't forget Hanukkah! 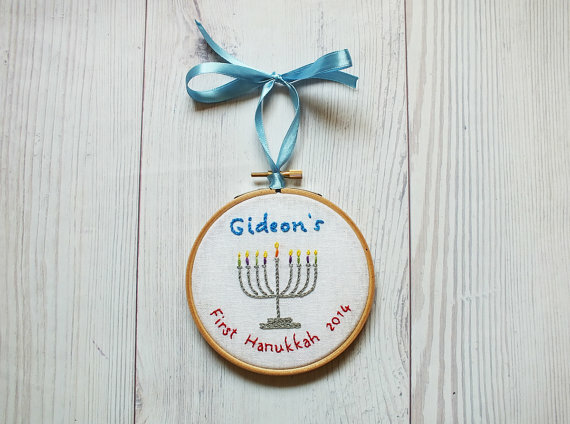 I love this handstitched, personalized Baby's First Hanukkah ornament. On that same vein, how cute is this personalized My First Hanukkah onesie?! 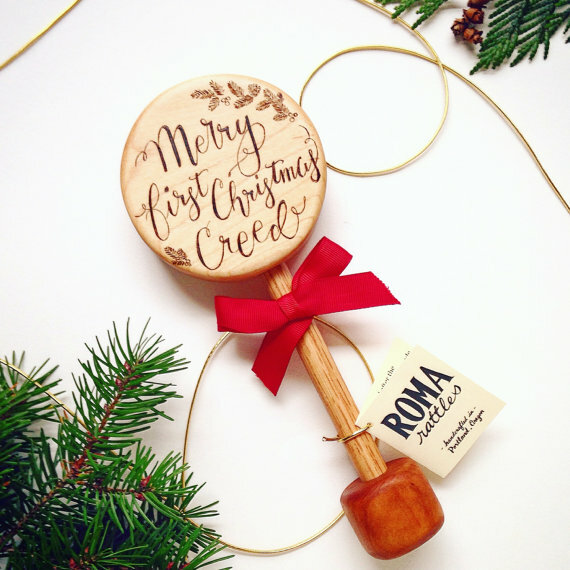 A personalized wooden teether rattle to celebrate baby's first Christmas? Yes, please! Bandana bibs are my favorite thing for drooly little ones. 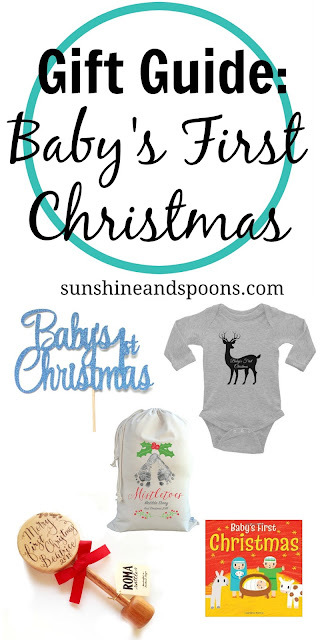 Obviously, a baby's first Christmas one is a must! 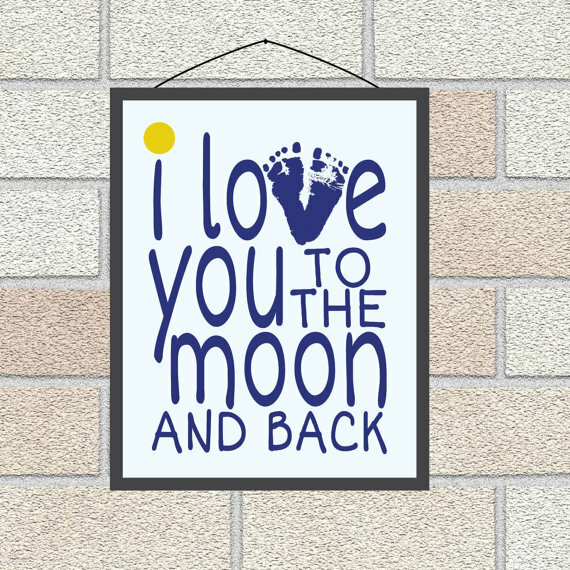 This wall art is made with your baby's footprints, making it an extra special keepsake. 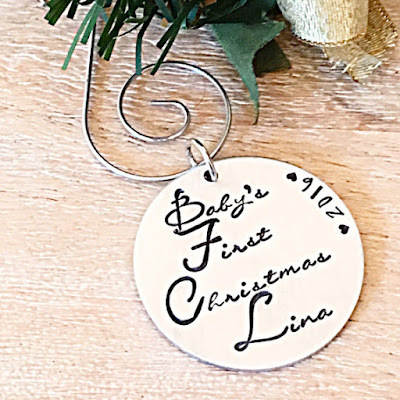 This simple but elegant first Christmas ornament is handstamped with your little one's name and the year. 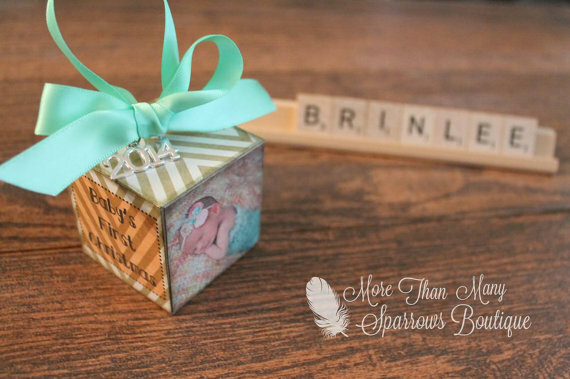 You can customize this block ornament with up to 2 pictures, your baby's name, and other info. 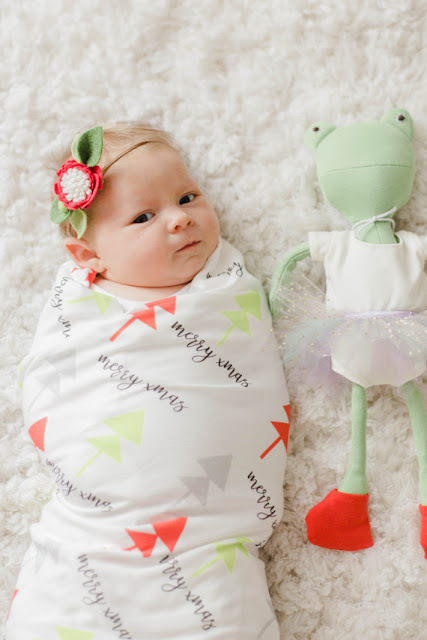 How precious is this organic cotton swaddle blanket?!? It comes in two sizes. 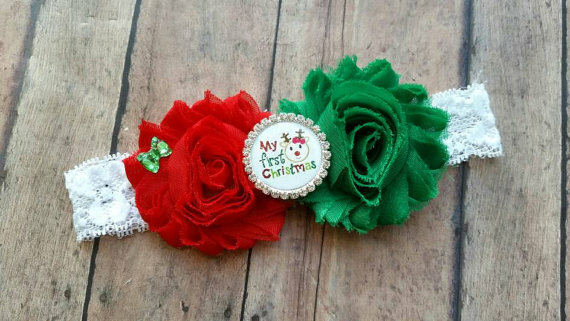 I love the colors in this first Christmas headband! 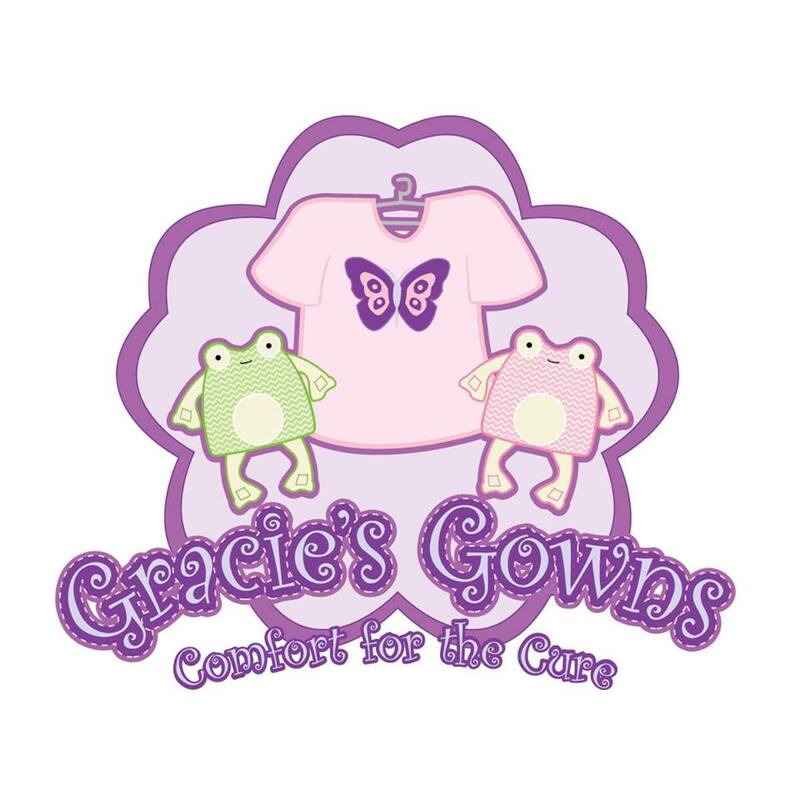 The stretchy lace is soft and comfortable for baby's head. Perfect for Christmas photo shoots, this giant stocking comes with an adorable candy cane striped hat. 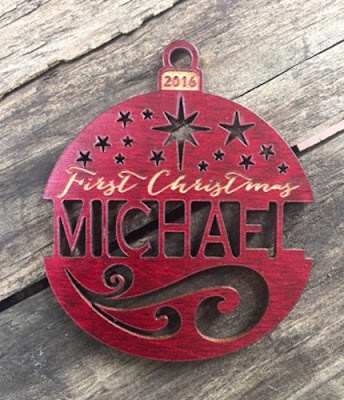 This personalized Christmas ornament comes in either mahogany or red maple. I love giving my kids books for Christmas. 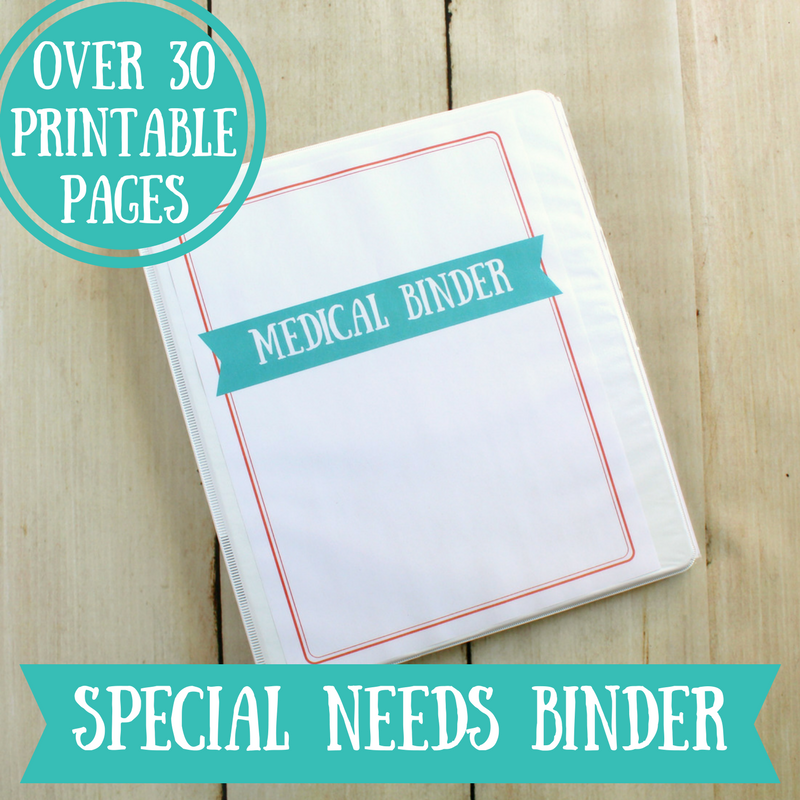 This simple board book would be perfect to start out baby's book collection. I hope you found something special for your little one's first Christmas! Sunshine and Spoons Is Growing!